Cogsdill CX External Roller Burnishing machines. Cogsdill’s CX machines roller burnish cylindrical diameters of any length in seconds. Parts are sized, finished and work hardened by highly polished, precision rollers in one quick pass. Fatigue life, corrosion resistance and appearance are enhanced as your parts are accurately sized and finished. Various model options are designed to meet your manufacturing requirements. Equipment options are available to accommodate through-feed applications, parts with obstructions, and part-to-part size variations. All ductile or malleable metals with hardness up to R/C 40 can be roller burnished. 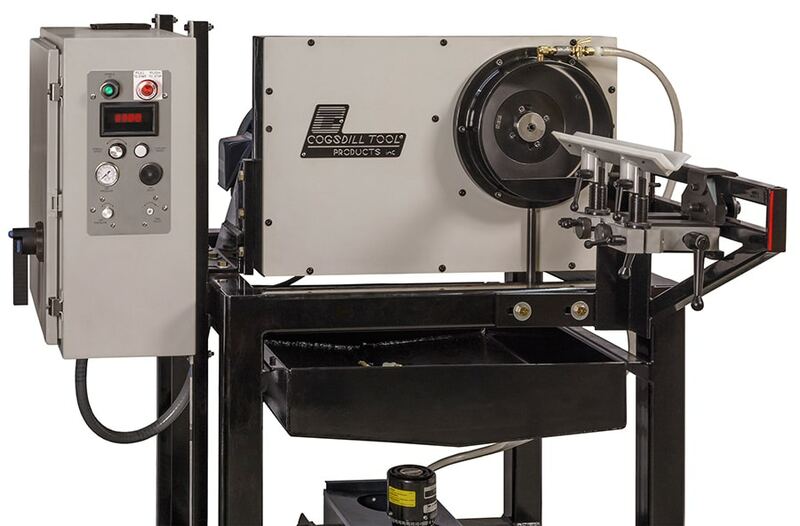 Cylindrical parts of any length, bars, tubing, wire and stranded cable may all be processed with Cogsdill’s self-contained, self-feeding roller burnishing machines. A continuously variable speed drive allows the operator to select the optimum production rate for obtaining the desired size and finish. An adjustable tilt base makes it possible to select the ideal feed angle for automatic or manual loading. Several sub-assembly options are available to suit various application requirements (see catalog for CX Sub-Assembly Options). Coolant systems are designed and recommended to supply the necessary part lubrication for burnishing. Part supports, consisting of V-guides faced with teflon, are available for thru-feed applications where long parts require support, or as an aid in workpiece alignment during high production runs. Various power options are available to meet your electrical requirements. A lightweight, compact model is available where portability is a major factor to consider; a pair of heavy duty, high production models round out a product line designed to meet your production needs. These options, combined with the standard features, make the Cogsdill CX machine a useful and versatile machine tool. However, should the wide array of options available with our standard tooling and equipment fail to meet your particular requirements, a variety of special tooling is available on special order. Please submit a part print and request a quotation. Tolerances within .0001 inch (.0025mm) are attainable, depending on variables such as material type, hardness, pre-machining method, and the finish on the part prior to burnishing. A prepared tolerance of .002 inch (.05mm) can usually be reduced by 50 % (.001 inch /.02mm). One pass through a Cogsdill CX machine can quickly reduce a 20-40 microinch Ra (0.5 to 1.0 micrometer) ground surface or an 80-120 microinch (2-3 micrometers)(Ra) turned surface to a mirrorlike 5 microinch (.125 micrometer)(Ra) finish or lower. Parts varying in size as much as .005 inch (.127mm) can be burnished to the same low microfinish with the use of an optional pressure control unit (see Versatility section). The roller burnishing process significantly improves bearing surface over other types of finishing processes and is ideal for shafts running in bushings or oil seals. Surface hardening of the workpiece is achieved simultaneously with sizing and finishing.With certain materials, increases in surface hardness of up to 3 points on the Rockwell “C” scale are attainable.The smooth, dense, hardened surface produced by the roller burnishing process extends wear life, improves resistance to corrosion and reduces fatigue failures. Friction is also reduced, resulting in noise reduction where shafts are running in bushings. Machined parts (turned or ground) can be roller burnished to lustrous, mirrorlike finishes. Subsequent plating applications will often be improved as roller burnishing removes surface patterns and blemishes resulting from prior machining operations. Cogsdill CX machines process parts in seconds. Parts are sized, finished and work hardened in one pass. Cylindrical parts of any length are processed at speeds up to 30 feet/minute (9.14 meters/minute). Roller burnishing can often eliminate time consuming and expensive finishing operations such as grinding or lapping.The result is better quality parts, produced in less time, at a lower cost. The CX-2000 External Roller Burnishing Machine offers quiet, smooth operation in a rigid and stable machine design. Two models are available: an adjustable speed model, with variable frequency drive and digital speed display; and an economical fixed speed model (which can be adjusted, if necessary). Coolant capability is standard on both models. 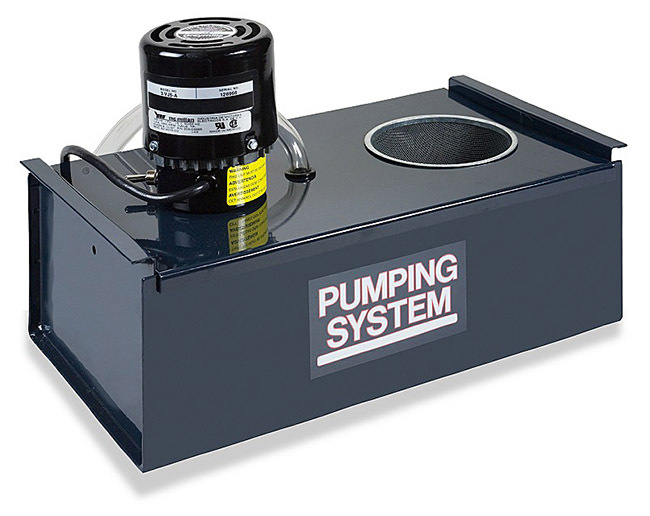 An optional portable cabinet with integral coolant pump is offered (and recommended). The CX-2000 uses the same interchangeable race assemblies as the CX-3000 for part diameters from .045 to 1.004 in. (1.143 to 25.5mm). An easy-access control panel is located on the front of the machine. There are three standard power options: 220V single-phase, 220V three-phase, or 440V three-phase. An adjustable tilt base allows for the ideal feed angle, from horizontal to vertical, for automatic or manual part loading. Optional part supports are available for long parts or for workpiece alignment in high-production runs. 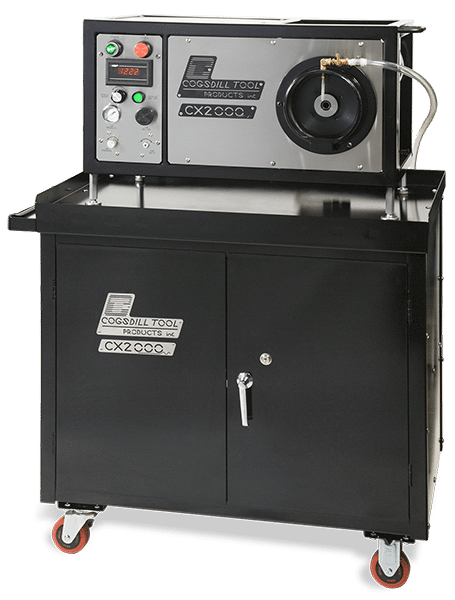 The new CX-3000 External Roller Burnishing Machine replaces the former CX-1 and CX-2 model machines. The CX-3000 is designed for permanent installation on the production floor. The CX-3000 machine is available in two models: the CX-3000-1 for part diameters from .045 to 1.004 inch (1.15 to 25.50mm), and the CX-3000-2 for part diameters from .963 to 2.504 inch (25.46 to 63.60mm). The large part diameter range capacity is accomplished by using one base model machine and two interchangeable spindle assemblies that can be changed by either the customer or by our trained technicians at our factory. system is also standard on the CX-3000 machine. An easy-access control panel is located on the front of the machine. An adjustable tilt base for ideal feed angle for automatic or manual part loading is available as an option. Part supports are also available as an option for long parts or for workpiece alignment in high production runs. For additional information or to obtain a quotation on the CX-3000 External Roller Burnishing Machine, please contact Cogsdill or one of our Sales Engineers. Also contact Cogsdill for more information on CX Race Assemblies for part diameters over 1.000 inch (25.4mm). Spam check: What is 2 + 5?